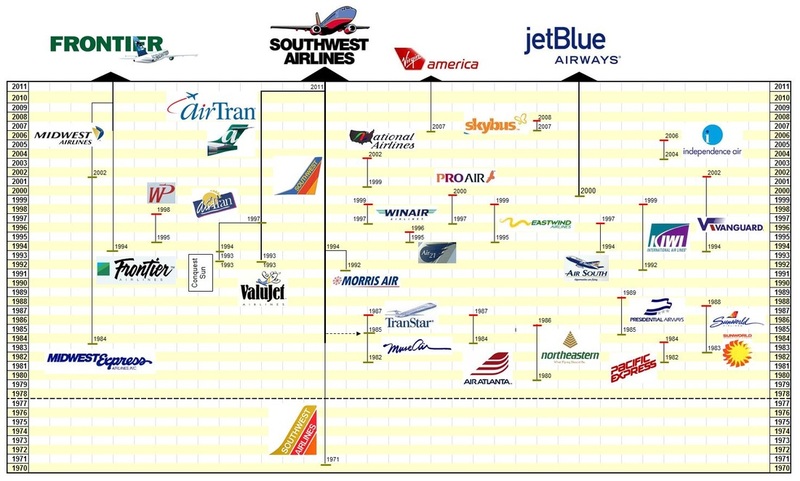 Of all the airline's on this list only Southwest Airlines existed prior to 1978 (as an intra-state airline). Of the others several shone brightly for a short period (Muse Air, Northeastern) but only Midwest Express, the 2nd Frontier, Valujet/AirTran and jetBlue have shown sustained success. The majority flew only a few aircraft for a couple of years and were never profitable. Regardless they certainly added colour to the US scene.